It’s hard to miss Lee Daniels. Forget the pastel polos, the black rimmed glasses or the Don King-like hair – his personality alone demands attention. As he makes his way toward the table I’m sitting at, jotting down questions, I notice Lee Daniels doesn’t walk. He struts. I notice he doesn’t smile. He gleams. He exudes the confidence that most first time directors usually hide behind doubt. But, then again, Lee Daniels is different. And that may be the strongest quality he has. His confidence is the reason everyone within a fifteen foot radius knows Lee Daniels is, well, within a fifteen foot radius. Although he’s making his directoral debut at the 2nd Anuual Bahamas International Film Festival with his film Shadowboxer, he is nowhere near being a rookie. He produced the Oscar-winning film Monster’s Ball, then followed that success with the critically acclaimed picture The Woodsman. As Lee Daniels promotes Shadowboxer to whoever will listen, it’s apparent that the hair isn’t the only thing he and Don King have in common. King’s knack for promotion is also there. His soul wasn’t all he put into the movie. 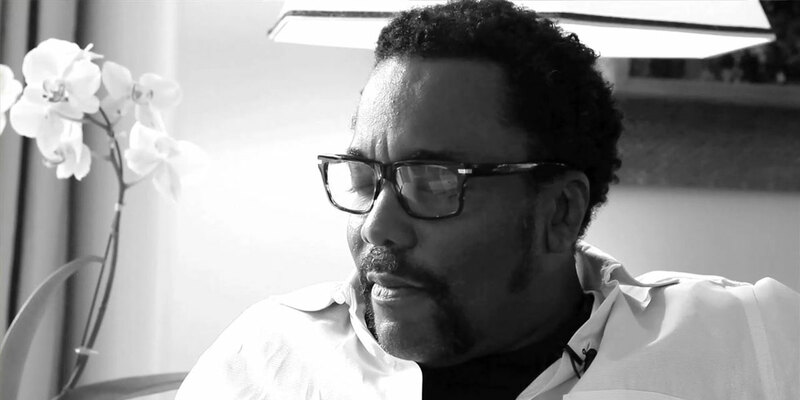 During production, Lee Daniels found himself putting his heart into the movie. Two months ago, the 46-year-old suffered a heart attack at the hands of exhaustion and hard work. Despite his success, Daniels’ greatest achievement has nothing to do with the cinema. He’s a proud father, something that makes all of his behind the camera success seem distant. As a first time director at a sophomore film festival, Daniels sees positive outlooks for both him and the festival. Despite a late start as a director, Daniels doesn’t take anything for granted. After his near-death experience, Daniels has developed a relationship with God and realizes how fortunate his is, not only to direct, but to still be alive.